I found this old book while looking up some Depression era books on Amazon. I ordered if from the library after reading a few reviews, even though it looked quite old and out of date. I LOVE this book. I am ordering a copy of my own. I am sending one to my parents. 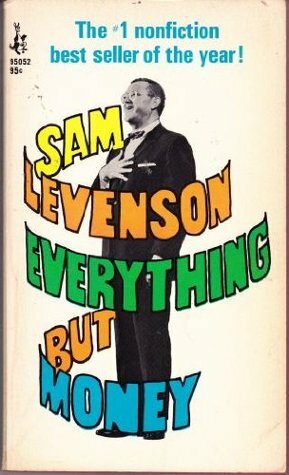 A little background-Sam Levenson grew up in a cramped NY tenement, a poor boy, the youngest of ten (two boys died very young so he grew up with seven siblings). He spent many years teaching, and became a radio show personality. He has a great wit about him, and a wonderful way of mixing that wit with profound truths, and tales from his childhood. I couldn't help but thinking, "This is the BEST parenting book I've ever read" throughout the whole book. And it is NOT a parenting book at all, but it should be today. It is that full of wisdom. It should be number one on the best seller list, and forget all the rest of the advice. "I was a most fortunate child. Ours was a home rich enough in family harmony and love to immunize eight kids against the potentially toxic effects of the environment beyond our door. Since the social scientists do not, as far as I know, have a clinical name for the fortunate possessors of this kind of emotional security, I might suggest they label them "the privileged poor". Poverty never succeeded in degrading our family. We were independently poor." "Our parents set the moral tone of the family. Each of us was responsible not only to himself but to his brother, and all were responsible to our parents, who were prepared to answer to the world for all of us." "Honor brought to parents by their children was the acceppted standard for measuring success. It also became the incentive for us. Our personal success was to a great extent predicated up on the happiness we could bring to our parents. It would not be long before this idea would completely reverse. TO make our children happy was to become the 'summum bonum' of family life." "They (his immigrant parents) defined freedom as the opportunity to change the circumstances of your life through your own effort, to force the hand of history rather than to remain forever enslaved by it." "Mama practiced medicine without a license but not without a philosophy. The preservation of life was a religious commandment based up on the doctrine of the sanctity of the human body as the dwelling place of the spirit. If the body housed the spirit, that house (the the apartment we lived in) had to be kept in decent repair or the spirit might become ill."
"Friday night's dinner was a testimonial banquet to Papa. For that hour, at least, he was no longer the oppressed victim of the sweatshops, the harassed, frightened and unsuccessful breadwinner, but the master to whom all heads bowed and upon whom all honor was bestowed. He was our father, our teacher, our wise man, our elder statement, our tribal leader." "The woman minded everything and anything, without charge "Please mind my fish, my soup, my husband, my purse. ": For me there was an emotional affinity between being minded and being loved. While I did not like to be watched, I felt that I was being protected one hundred times over by one hundred watchful mothers." "Although there were eight of us children, we were out numbered by two parents. Ours was a decidedly parent-centered home. Since respect for age was a cornerstone of our tradition, it followed that Mama and Papa had a right to lead, and we the right to be led by them. We had very few other rights. We had lots of wrongs which were going to be corrected by any methods our parents saw fit. The last thought that would have entered my parents' minds was to ask their children what was good or bad for the children. We were not their contemporaries, not their equals, and they were not concerned without ideas on how to raise a family. "When I need your opinion I'll give it to you." 1. Respect was to be shown all elders. 2. There was not such things as petty crime. Little offenses can lead to big ones Practice makes perfect. 3. The management reserved the right to screen your friends. 4. When the sun set you came home. 5. You had to earn good marks in school or money, or both. Loafing was out and unearned money was suspect. 6. You could be a hero in your own home. Try it. (Papa was, Mama was, and so was any one who brought honor to the family.)" 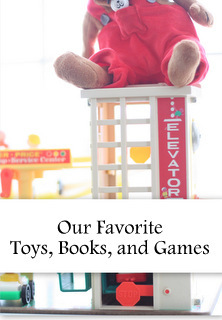 "There are about four hundred books on child care published each year. Unfortunately the latest book very often contradicts the next to the latest by the same author who is in the interim has also read a book. The bewildered mother loses faith in her maternal instincts. She becomes "out-directed." The fear of doctrinal error paralyzes her. She has gone from economic insecurity in her mother's home to emotional insecurity in her own. "Am I adequate?" "Am I giving too much, expecting too much, to little?" Am I mothering or smothering, overprotecting or underprotecting, over-concerned or under concerned, obsessive, repressive?" The natural joy of caring her babies is destroyed by the dread of making the wrong decision. Love must be sterilized and defined before it can be used." "Many young mothers, driven by fear of not doing enough for their children, are imposing upon them the kind of frenetic care that converts the home into a hospital and childhood into a critical condition." "One of the side effects of "Operation More" is often "Separation More". "I was raised in an atmosphere of unscheduled love. Like punishment, it appeared wherever and whenever the situation called for it-during, between, after, or before. It was woven into the favorite of our daily life. It was never announced; it was felt. It was certainly not the amount of time our fathers spent with us that made us feel loved. Most of them worked so hard and long we did not get to see very much of them. We regarded their hard work in the sweatshops, however as ample proof of their devotion." "Now we are the era of love by appointment." "The fear of "depriving" our children has produced the most "gifted" generation of children in our history. We shower them with gifts to prove our love, with the inevitable results that the gift to love has degenerated into the love of gifts." "Are we giving things because we are reluctant to give time, or self, or heart? Are we offering presents in place of presence?" "The more toys he has the less he plays. He spends more time choosing than playing. He is suffering from the boredom of opulence. For the mother this abundance ultimately creates a housing problem." "We wondered, along with many other middle-class parents, whether we were doing the right thing in removing tall the discomforts we had experienced, whether making it unnecessary for the middle-class child to walk, wait, worry, work, perspire, or cry was good for him. A disadvantage may turn out to have been an advantage, a denial an incentive, a deprivation an inspiration. Running interference for the child so that he will never get hurt may main him for life. Unearned satisfaction of one's needs may leave a young person with a feeling of great emptiness. Discontenment is a springboard for achievement." "Minding one's own business has become a virtue. If you see a kid behaving like a hoodlum you say to yourself, "It's not my kid, so it's not my problme." Personally, I'm for snitching. Delinquency is OUR problem. When it is for the common good snitching is good. My mother was a snitcher, as were all the other mothers in our neighborhood. If I ever did anything wrong, by the time I got home my mother knew it via the maternal grapevine." "Snitching should be reinstated as a form of collective discipline. We might also revive Mama's type of Mother's Club, who platform was :Parents of America, unite. Join, the UPA-Unafraid Parents of America." "My parents weren't always right, but they were clear. They figured that if they didn't teach us someone else would. In a moment of choice between right and wrong, I could hear the echoes of their oft-repeated admonitions in my inner ear-nagging is what they would call it today." These are only little tidbits throughout the book!!! It is an absolute gem. I'm surprised that in this day and age you agree with husband-as-head-of-household as a given. There are so many domestic arrangements now, and the parents-as-equal partners model works well for many people. "the master to whom all heads bowed and upon whom all honor was bestowed. He was our father, our teacher, our wise man, our elder statement, our tribal leader." As I read this, I reflected on how amazing life at home is when my husband feels cherished and respected as the head of the household. As a fiercely opinionated and independent woman, I spent far too much of our marriage insisting on my way, and over riding his opinions and leadership. Life and home are so much more wonderful when we respect and appreciate our God given roles, and when we honor the man who God gave us to lead us and cherish us. 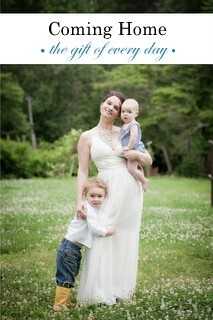 How different our homes and families would look, if we all chose to honor our husbands and fathers this way. LOVE these words. Thank you so much for sharing thi sbook! I look forward to reading this. Thanks for the recommendation. I read Urban Meyer's book on your recommendation and LOVED it! Thanks!! This book sounds like a gem. Thank you! I'm going to order a used copy from Amazon today! I just can't believe how applicable all these quotes still are. I wish there was a "snitching" culture for our children today. I can't wait to read this book!! I always so appreciate & look forward to your book recommendations. I can't believe how "old-fashioned" I am for how young I am, living in this generation of young parents. This book speaks so similarly to my heart & mind as I parent my little tribe. The title alone reminds me of my father. All six of us kids earned college degrees via hard work and scholarships. When it was my turn to leave the nest (I was the first girl after four boys) my Dad told me, "I'll help you any way that I can...except financially." He was always making a joke! Thank you for this book rec--my library has it, and I will pick it up this week. Two things-he tells the story of an older brother (who I believe became a doctor) telling his dad, "I want to go to college" and his dad answering, "Well who is stopping you?" Also a famous quote from the book is his father's quote-"Remember if you ever need a helping hand, you'll find one at the end of your arm." Sold! I got right off your blog and downloaded from Amazon immediately! Wish you could get a commission...thanks for sharing! Thank you for this recommendation! This is amazing. Have you also read "Pricing the Priceless Child"? Fascinating read. Wow! Such truth... I wish I had read this, and been humble enough to receive the wisdom, as a young mother. Just got it and only a few pages in I am loving it. Thank you again for the book recommendation. I ordered this when I saw you recommend it because I remembered the cover as a book in my childhood home. I am loving it. There is so much good stuff, and on top of that, it is sometimes just hilarious. I have been nursing my baby while reading and twice now my shaking laughter has woken her up. I am not sure how to put this into words, but I just keep thinking how much we have really complicated this family/parenting thing by making so many things that are really a great privilege the norm. We feel like we have to make our kids lives perfect, and make sure they have every opportunity, but never expect anything from them. I love that in the book they all shared rooms and beds...that is a serious sin in DC...every child must have their own room let alone bed! I love that they survived on what food we might consider garbage because they ate what they could afford not what they were told was appropriate. Having perfect white straight teeth wasn't even an option, just getting a cavity fixed was huge! I am not saying we shouldn't be grateful for all the great extra blessings these days...but it seems like for all we have gained we have lost so much in what home and family and real life should be. When we don't have to work twelve hours in a sweatshop to provide for our families, we use our extra time sweating as we race our kids from opportunity to opportunity, never time for the little things that really matter. Thanks for the recommendation. It is a treasure!